PONTOTOC, Miss. -- Mississippi sweet potato fields that missed needed rains in June and July are experiencing favorable harvest conditions in October. Jamie Earp, president of the Mississippi Sweet Potato Council, said yields are “fair, at best” at the halfway point in the 2018 harvest season. While fresh sweet potato prices have benefitted some from Hurricane Florence, Earp said processing-grade potatoes are not doing very well because of a supply surplus. 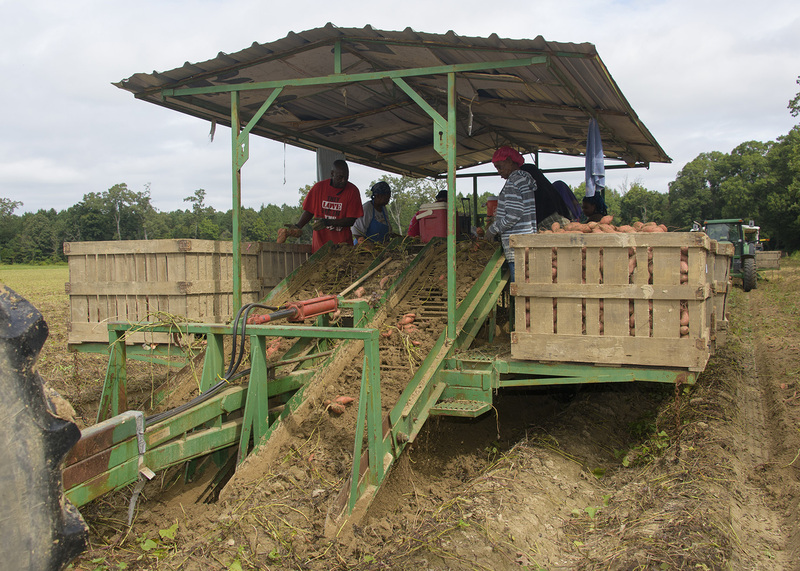 “Many of the processing-grade potatoes are not being removed from the fields and are going to waste,” he said. Stephen Meyers, sweet potato specialist with the Mississippi State University Extension Service, said prices and yields can be difficult to pin down. Meyers said Mississippi producers planted about 25,000 acres, a slight decrease from the 28,100 acres planted in 2017. “The decrease in acreage was in large part due to the slow movement and low price of the 2017 crop,” he said. Meyers said sweet potato transplanting operations, which began in May, tended to be ahead of historical norms. However, various fields transplanted in early June experienced poor plant stands or delayed development from heat stress. Efforts to reduce the state’s dependence on certified seed from other states are underway at the Pontotoc Ridge-Flatwoods Branch Experiment Station. Meyers said the Mississippi Agricultural and Forestry Experiment Station has developed a three-year transition plan for the Foundation Sweet Potato Program to increase availability of foundational material, reduce dependence on interstate transport of certified seed, mitigate risk and increase varietal selection.